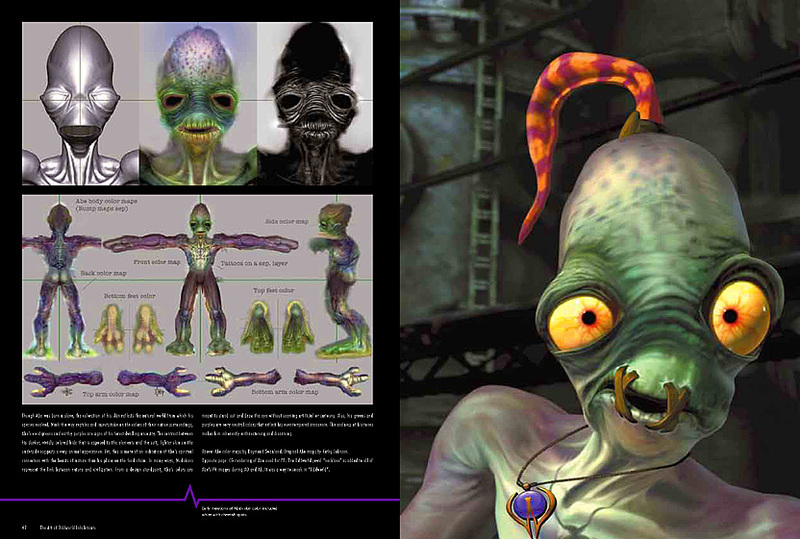 The Art of Oddworld Inhabitants: The First Ten Years 1994 - 2004 is a high quality art book featuring the artistic journey of the legendary game company Oddworld Inhabitants from its first ten years - from Lorne Lanning's vision of the first Oddworld hero in 1994 to the present. 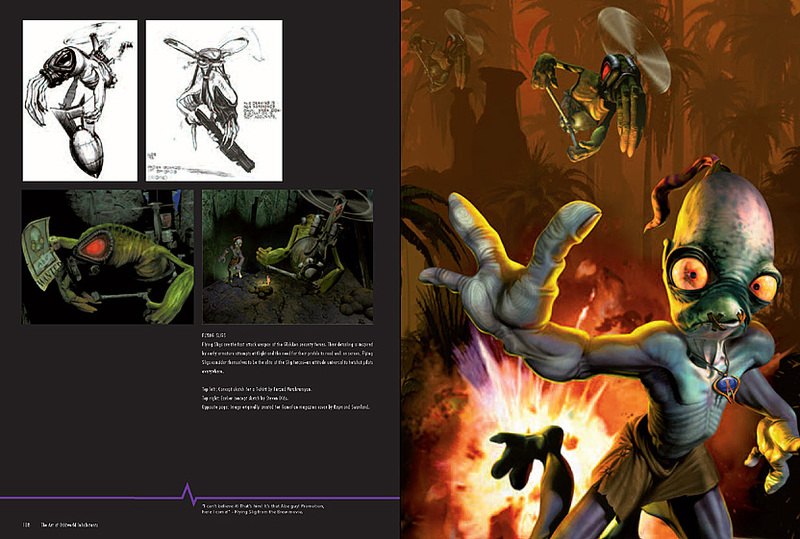 The book is an extraordinarily high quality fine art production depicting the story of the art and vision of Oddworld and how the company approaches the art/design process. 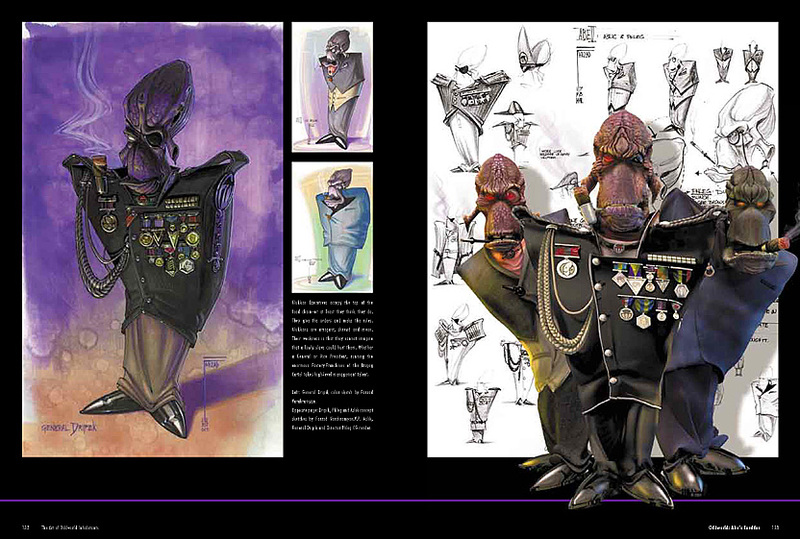 It also shows how the design process maintained the highest standards of creativity and quality while evolving a coherent universe populated with characters that expressed rich and unforgettable personalities . 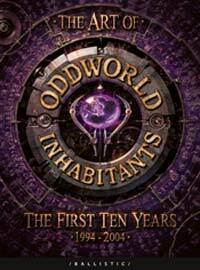 "Since Sherry McKenna and I founded Oddworld Inhabitants back in 1994, we have eagerly anticipated the moment when a densely packed and finely printed 'Art of Oddworld' book would find life," said Lorne Lanning, President/Creative Director of Oddworld Inhabitants. 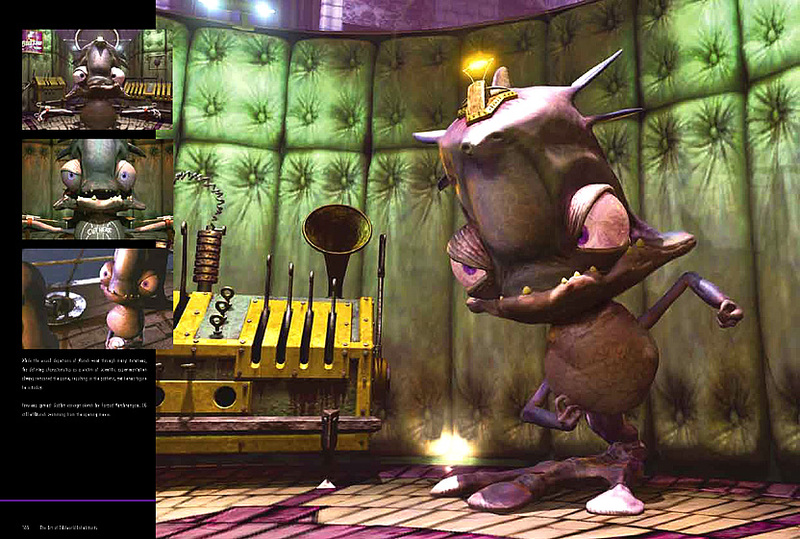 "Finally, and only a decade later, the day has come for us to reveal the seldom witnessed pre-production efforts of the incredibly talented artists that have given so much of their energy and talent (not to mention late nights and weekends) in effort to create the uniquely odd universe that has since found its way into millions of hearts and homes throughout the globe. 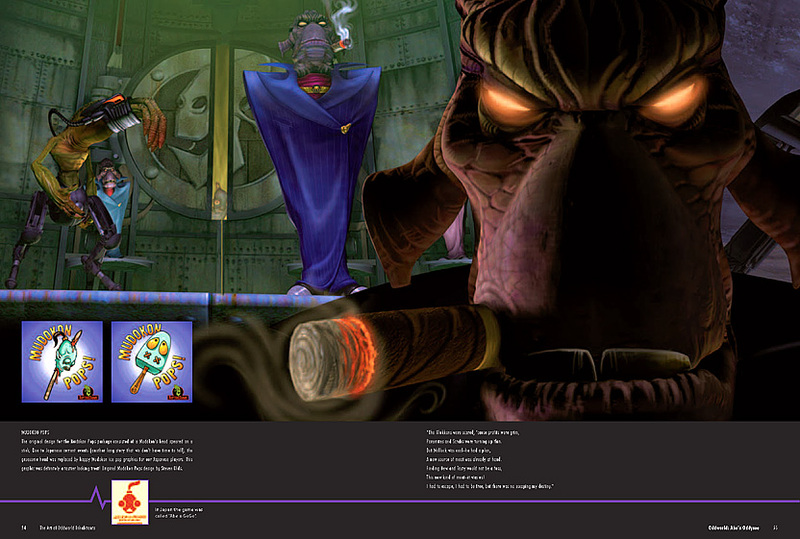 This collection of work not only reflects the intense artistic effort that has gone into the creation of our heroes and their plights, but it also reveals the visual fuel that hung on our walls and continually inspired us as we stumbled our way through the trials and tribulations that litter the hazardous crossroads where creative artistry and free enterprise collide." 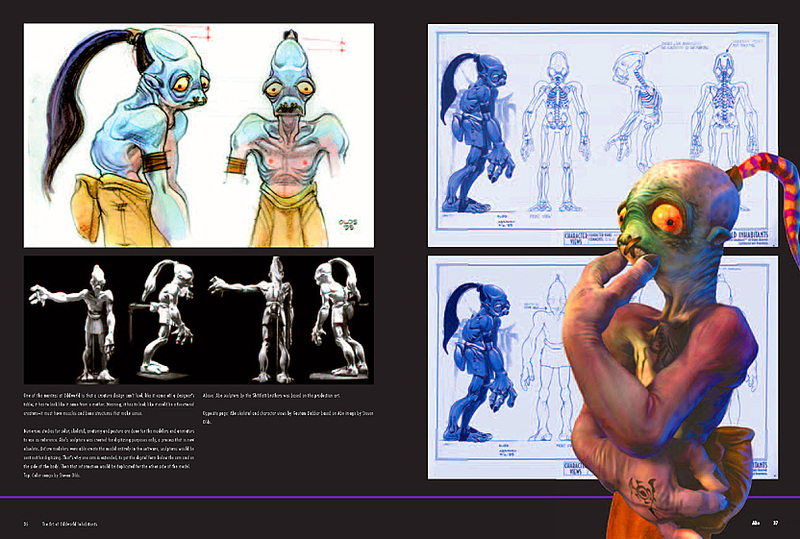 Filled with stunning examples of beautiful artwork including production design sketches, color roughs, storyboards, game screens and CG/FMV stills, The Art of Oddworld Inhabitants takes us through an incredible gallery of astonishing images. 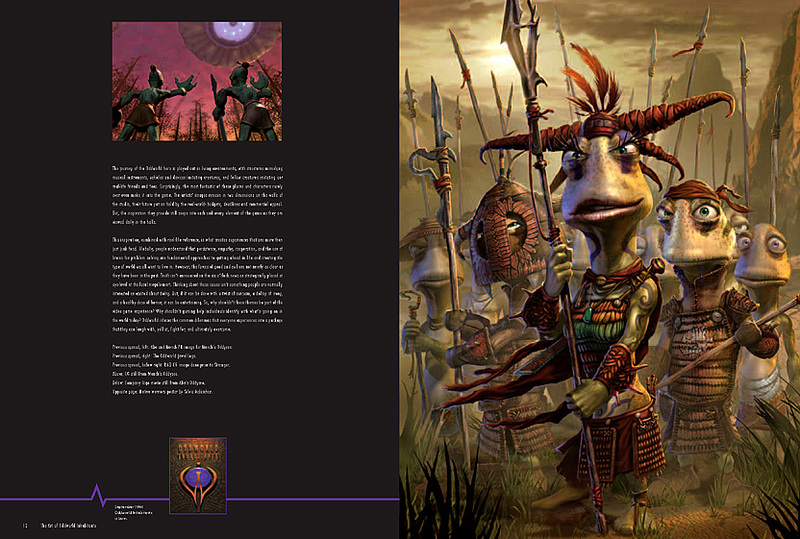 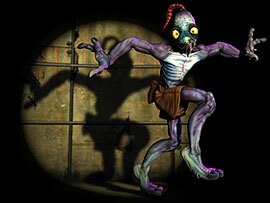 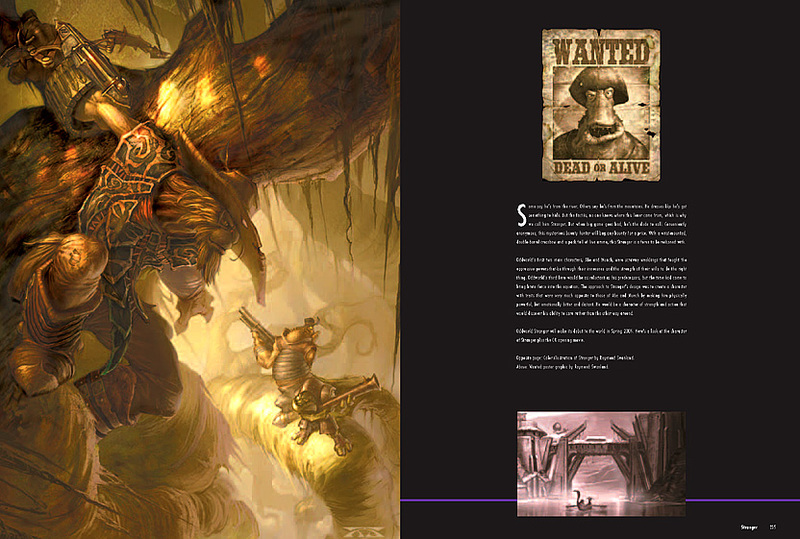 Finally, the book unveils Oddworld Inhabitants art that has never been seen before.